The I-spy series is a classic children's book in the US. 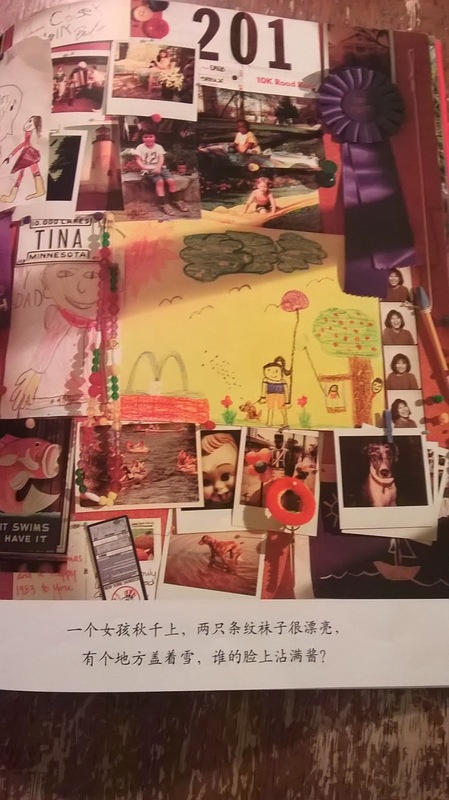 As kids get to be around 3-5 years old and get longer attention spans, they often love studying fun, complicated pictures to find particular objects. 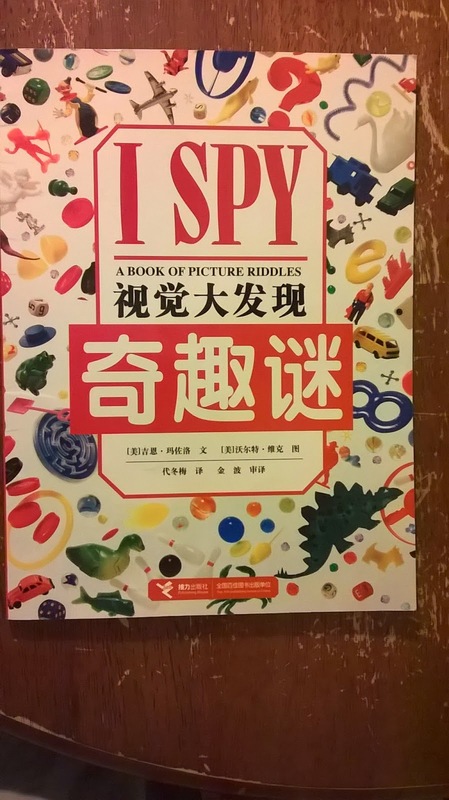 I was happy when my wife brought this Chinese version of I spy back from China（视觉大发现 -- 奇趣谜）. 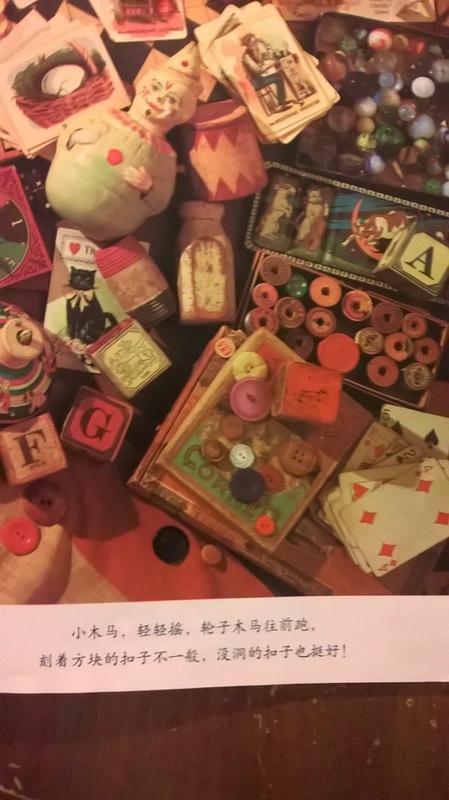 This book is great, just like the English versions, but I will warn you that you probably must be a parent fluent in Chinese, with very good reading skills, to read this with your kids. My Chinese is not good enough to read to my kids what they are supposed to be looking for since I don't know many of the characters. I used to know about 3000 characters, and now I probably only know around 1000, and it seemed like half the time I wouldn't be able to read correctly what we are supposed to be looking for. It kind of takes the fun out of it. If you can read Chinese like a pro, however, $5 from Amazon with prime shipping is a great deal and you will have fun with your kids. You can buy it on Amazon here!